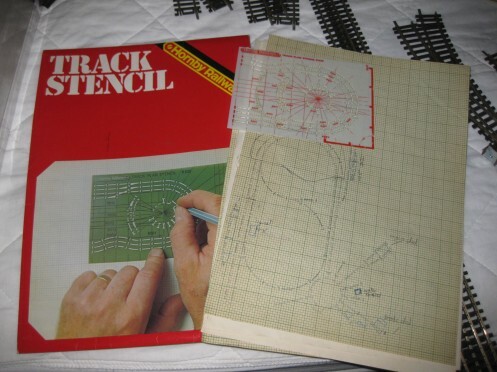 I was quite intreagued by this Hornby track stencil and charts that hubbie found with his old toy train set. The stencil helps model railway fans plan the layout of their railway. In my head it looks like a stencil for making minature quilts! Regarding the hornby track stencil, if your husband no longer wants it could I use it. I’d obviously pay for p&p. Hi Ali, It’s already been sold on ebay, but for pennies as they only go for about 99p. There’s a couple on there at the moment from other sellers.